The exhibition ran over the Australia Day long weekend from 23 – 26 January 2015. 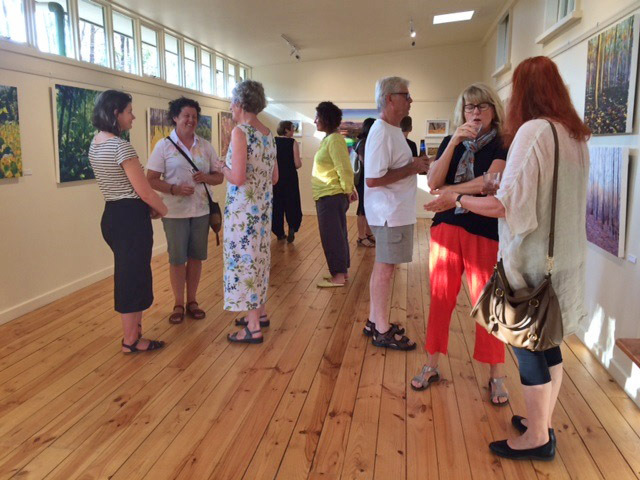 The show included work from the last few years, all made to celebrate the joy of walking through the bush in Victoria. It was a great four days. Sitting your own show is something all artists should do. Normally I just hand off the work to the gallery, so it was a great experience to shoot the breeze with so many folks and talk about about art and life. Back to the silence of the studio today, and stacking paintings into the rack. Thanks to everyone who came along and made it such fun.